“Donald Cameron Easterbrook Gorrie was born in India on April 2 1933, the son of Robert Gorrie, a forestry officer, and the former Sydney Easterbrook. The family moved back to Scotland when he was six, and he was educated at Oundle and Corpus Christi College, Oxford, where he read Classical Mods and Modern History. The above brief introduction to Donald Gorrie comes from the Daily Telegraph and tells us a bit about the man, but we are mainly interested in his career as an athlete which was considerably good. SAAA native record holder (1955). While at Corpus Christi College he was an Oxford Blue three years in succession, President of the University Athletic Club in 1957, competed in the world student games, won races in USA, Canada, Norway and Czechoslovakia. He was also a member of the Achilles Club and was a vice-president from 2006 until his death in 2012. He was an active committee member and even a cursory glance at the Club annual reports shows that. Even in 1988 he was the member in charge of US matches. It is unfortunate that his time at Oxford coincided with that of Bannister, Chataway, Brasher and company and his career possibly suffered a it from lack of recognition because of that. He only ever competed for two clubs – OUAC and Achilles. But it is certainly a career worth investigating further. 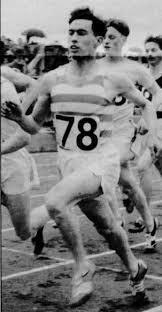 He was running well enough in 1953 to win his first (of three) British Universities 880 yards titles with a time of 1:54.4, but did not draw himself to the attention of the Scottish athletics public until 1954. Donald Gorrie was to run very successfully in the matches between the Achilles Club and the various American Universities. The club had two series of such contests: against Yale and Harvard, and against Cornell and Pennsylvania Universities. It is not clear whether he was running in the fixture against the latter two on 12 June 1954, but Derek Johnston won the 880 in 1:53.1 and the 440 in 48.8. The SAAA Championships were held on 25th and 26th June and Gorrie was entered in the half-mile. He qualified for the final but finished outside the first six in a nine man field. The race was won by R Stoddart (Bellahouston) in 1:58.6. In the AAA’s championships at White City on 16th July, he was fourth in 1:52.0 in a very tight finish – the winner was Derek Johnston and his time was 1:51.4. Four men within 0.6 seconds. His running that season had been so good that he was selected for the World Student Games in August where he won a gold medal as part of the British team which was second in the Mile medley relay in which he ran the half-mile leg. Another Scot, JGR Robertson from Glasgow University, ran one of the 200 metre legs. Defeated by Germany, both teams ran 3:14.3 with Spain third in 3:16.0. At the end of 1955, Emmet Farrell asked what Scots had made the greatest impact in athletics during the past season? He answered his own question with (in no particular order of merit): Donald Gorrie, Ian Binnie, Joe McGhee, Bill Piper and Ewan Douglas. It was exalted company for Gorrie to be in – but he was there on merit – Farrell didn’t play favourites! His running in the United States for Achilles has already been discussed but it should be noted that these events were taken more seriously on the other side of the Atlantic than they seemed to be here. I quote from the New York Herald Tribune of 24th April 1956. “CONFIDENT OXFORD RUNNERS AFTER THREE TRACK PRIZES. 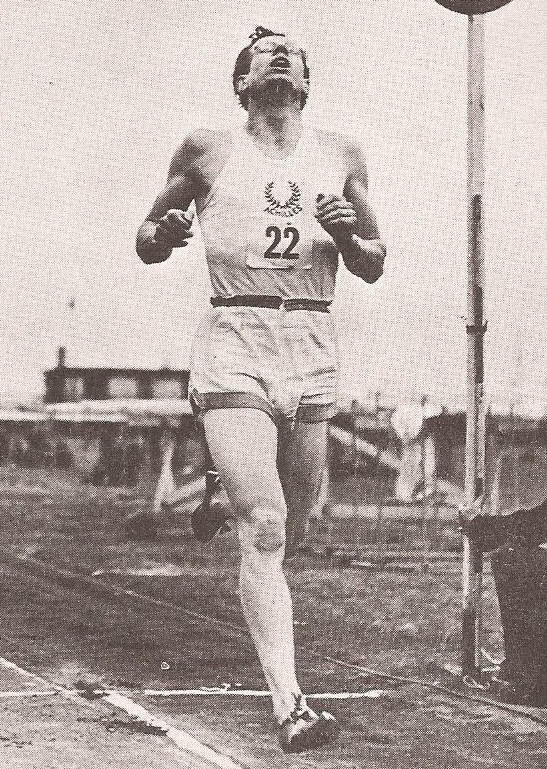 The four Oxford University middle distance racers comprising “possibly the greatest Oxford ever had, even including Roger Bannister” looked over the American field entered for the Penn Relays this week and decided to go for three relay titles instead of two. They are solid favourites to win all three. Of world relay caliber, based on their individual times in the 880 and mile, Ian Boyd, Alan Gordon, Donald Gorrie and Derek Johnston, the British Empire half-mile champion, will try for the two and a half mile distance medley Friday, the four mile and the two mile Saturday. Boyd, the senior member of the dark blue quartet, and Arthur W Selwyn, an old-Oxonian who is managing the team, disclosed their plans and confidences to local coaches, officials and writers at the weekly luncheon at Leone’s. Selwyn admitted Oxford will run the four mile as well as the two mile Saturday, because the opposition from Pitt, Michigan, Manhattan and NYU , all of whom have run between 7:35.2 and 7:40.6 this year, does not measure up to pressure competition for the Oxonians. Fancy that! The four mile will be run at 3:10 Saturday, the two mile at 4:35 and the interval is more than adequate for the Britons they claim. Whether Pitt, which has won 10 of 11 two mile relays this year on Arnie Sowell’s anchor legs of 1:48and up will send Sowell out against Oxford or shift to the spring medley is not definite. No matter who lines up against Oxford, the British quartet will be favourite to win its three races. Boyd has run the half in 1:51.9, the mile in 4:07.2, Gordon 1:53.4 and 4:00.7, Gorrie 1:51.5 and 5:15, and Johnston 1:48.1 and 4:10.2. On their posted times, Oxford has a two mile relay potential of 7:24.9 compared to the world record of 7:27.3 set by Courtney-anchored Fordham in 1954. It has a four mile potential of 16 mins 38.6 sec compared to the world record of 16 min 41 sec set by a British national team of Chris Chataway, Bill Nankeville, Don Seaman and Bannister in 1953. The Oxonians also believe they can beat the world distance medley record of 9:50.4 set by Wes Santee’s Kansas team of 1954. 83 degrees might be hot for some but the Gettysburg Times reported that the race was run in perfect weather and said that Oxford and Villanova received the plaudits. Villanova won the distance medley in 9:58.1 which was a new meet record but Arnie Sowell ran in three relays for his college (Pittsburg): in the distance medley he ran the third stage and clocked 2:58.7 for three quarters of a mile, in the sprint medley relay he ran a 1:54.7 half mile, and in the mile relay he ran a 46.9 quarter. Maybe of more interest to a Scottish/British puiblic was the fact that Ron Delany anchored the Villanova team to victory. I quote from Time magazine. It was a massive meet, but Oxford and Gorrie had two firsts out of three on a day of heat not usual this side of the Atlantic so it could be considered a success. Back home, in the British Games at White City on Whit Monday (21st May), 1956, he ran in the 800m invitation where the invited field was JV Beesley (GB), DCE Gorrie (GB), BS Hewson (GB), LC Locke (GB), K Richtzenhain (East Germany), I Roszavolgyi (Hungary), S Saric (Yugoslavia), DG Stewart (GB), JE Davis (Great Britain), R Moens (Belgium). There was a lot of class in that field and two English based |Scots (Gorrie and Locke) were in among them. Mike Rawson won by a yard from Brian Hewson in 1:51.6. Gorrie raced in Scotland on on 9th June at the Police Sports, before a crowd of 20,000 people he ran in a high quality invitation 880 yards. He was third behind Brian Hewson and Mike Rawson, all three representing the AAA’s. The winning time was 1:52.2. He did not defend his Scottish title at the SAAA Championships two weeks later. where JV Paterson won in a time 06 seconds slower than Gorrie ran the previous year. He did contest the AAA’s 880 yards championship on 14th July and qualified for the final where he ran 1:54.4 and was out of the medals. Rival JV Paterson was fourth in 1:53.1 behind the winner, Mike Rawson in 1:51.3. The season had been a bit quieter than 1955 but he still had targets, and still had a lot to give to the sport. His time of 1 min 52.1 was easily the best of the four. Always an early starter to the season, his life time best came on 11th March 1957 when he raced to 1:50.8 for the 880 yards. On 6th April he ran in the Oxford v Cambridge match: “DCE Gorrie, Oxford’s captain, who is a former Scottish champion and and native record holder for the half-mile, won that event for Oxford in 1 min 52.4 sec, beating DI Smith, Oxford’s other runner, by 1.5 seconds.” He also won his third British Universities championship on 19th May. The report read: “DCE Gorrie’s Success. DCE Gorrie (Oxford) a former Scottish half mile champion, won that event in the Universities’ championships at Reading in 1:54.2. JV Paterson ran well and finished third n the 440 yards in 49.4 seconds … ” Gorrie travelled with the Achilles club to America for the match against Harvard and Yale on June 22nd 1957. He was victorious in the 880y in a new meeting record time of 1:52.0 – one of two records, the other being RH Dunkley (Cambridge) in the two miles with a time of 9:13.5. The fact that this clashed with the SAAA Championships, was unfortunate. His racing career was effectively over but his interest in athletics continued however and he remained on the Committee of Achilles for the rest of his life. The programme for the Harvard/Yale v Oxford/Cambridge in April, 2009 contained Roll Call of Champions and there it was – 880 yards, 1957, DCE Gorrie (Ox). Nearer home, although he never represented a Scottish club and raced sparingly north of the border, he was President of Edinburgh AC and of Corstorphine AC . He even obtained a coaching qualification. When he died he was described in one newspaper as “Rangy, stooping and crotchety, Gorrie was a long-standing and passionate advocate of devolution. He forsook Westminster for Holyrood – alienating constituency activists by making the switch and having to find a seat as an MSP for Central Scotland. 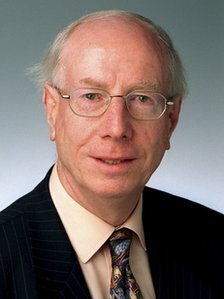 Gorrie was one of three Lib Dem MSPs who in 1999 refused to support the party’s Scottish leader, Jim Wallace, forming a coalition with Labour, distrusting that party as centralist and corrupt . He also disagreed frequently with Wallace’s successor, Nicol Stephen, but insisted he was not a one-man “awkward squad”” and went on to cover his career after leaving the sport. He qualified as a coach, and would in later life be president of the City of Edinburgh Athletic Club and Corstorphine Athletic Club, valued both for his commitment to the sport and for his after-dinner speeches. Gorrie taught at Gordonstoun, then in 1960 was appointed director of physical education at Marlborough College. Among his charges was Mark Phillips; when in 1973 Capt Phillips married Princess Anne in Westminster Abbey, the Gorries were among the guests. In 1966 he returned to Scotland, as a researcher and adult education lecturer in Scottish history, and two years later he joined the Scottish Liberals as director of research. From 1971 he was the party’s director of administration; he became vice-chairman in 1974, but left the Scottish party machine in 1975 after challenging Russell Johnston unsuccessfully for the leadership. The next year he set up Edinburgh Translations, which remained his business. When the city council was restored in 1995, Gorrie was elected Lib Dem group leader, serving until his election to Parliament. He contested Edinburgh West in 1970 and March 1974 (finishing third), in October 1974 (coming fourth), then again in 1992, losing by just 792 votes to the popular Tory incumbent Lord James Douglas-Hamilton. Five years later, at an age when many contemporaries were heading for the potting shed, Gorrie captured the seat by 7,253 votes to become the first Liberal to represent an Edinburgh constituency since before the war. As part of Paddy Ashdown’s sizeable new intake at Westminster, Gorrie proved an effective contributor, but he did not take to the life. Having helped vote through Labour’s devolution legislation, he put himself forward for Holyrood and decided not to stand again for Westminster; in 2001 the Lib Dems retained his seat. At Holyrood, Gorrie had no chance of a ministerial job because of his views on the coalition with Labour. This left him free to embarrass Donald Dewar, the inaugural First Minister, over the soaring (from £40 million to £440 million) cost of the new Parliament building. Gorrie suspected Dewar of treating the modernistic pile as his personal legacy. He was named Holyrood’s Backbencher of the Year in 1999, and Free Spirit of the Year for 2001. Re-elected in 2003 at 70, Gorrie retired at the 2007 election. Gorrie was at various times chairman of Edinburgh Youth Orchestra, and a committee member of the Edinburgh Festival, the Royal Lyceum Theatre, the Scottish Chamber Orchestra, Lothian Association of Youth Clubs, Castle Rock Housing Association and the Queen’s Hall, Edinburgh. He was appointed OBE in 1984, and Deputy Lieutenant for the City of Edinburgh in 1996″.